The Centre for Progressive Policy (CPP) is an exciting new think tank committed to making inclusive economic growth a reality. By working with national and local partners, their aim is to devise effective, pragmatic policy solutions to drive productivity and shared prosperity in the UK. Their first health report, Diagnosis Critical: launching an enquiry into health and social care in England, launched in June 2018, having published reports previously about higher education. They asked ZPB to handle the PR and comms. The data-rich report covers a lot of ground, but the first stage was to review the data and the report to pull out the most news-worthy headlines. 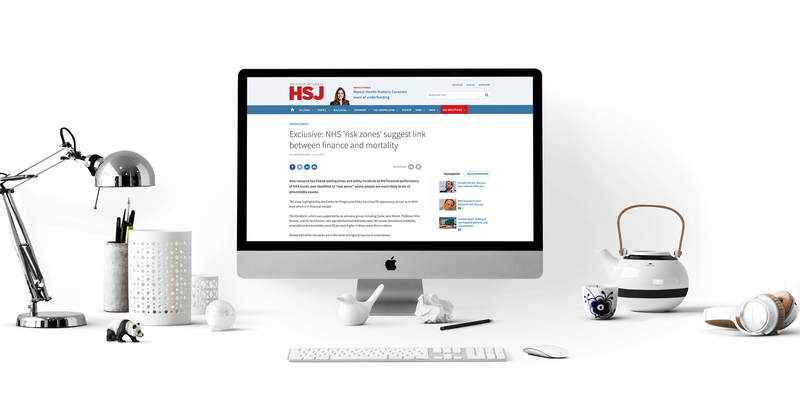 We wrote a press release that led to the most newsworthy stories in the report and then sold the story into the Health Service Journal as an exclusive and then contacted the national press health and news correspondents. We worked on local angles for local publications. Finally, we supported the journalists with further information and interviews as required to enable them to publish their stories. engaging stakeholders and providing targeted PR support. The hard-hitting report identified 32 areas in the country that made a link between lack of funding and increased mortality and understandably attracted a lot of attention. It was published in the HSJ, Mail Online, The Sun, Scottish Sun and the Mirror. Roy Lilley wrote about it in his blog. The local publications that took the local angle include Wigan Today, Cornwall Live, Worcester News, DissMercury in Norfolk, and About Manchester. As well as PR and communications, ZPB is working with CPP on its year-long programme of work investigating how the health and social care system should be structured and financed. ZPB is mentoring their analysts on the best possible way to utilise NHS data, convening and running their expert group and holding a deliberative event with members of the public.